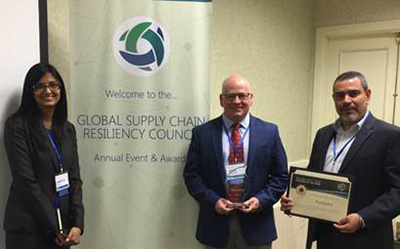 The award was presented at RESILIENCE 2017, the Annual Global Supply Chain Resiliency Council Conference and Awards Gala on Wednesday, March 1, 2017, in Silicon Valley, CA. The awards programme is designed to recognise organisations and individuals that serve as role models and leaders in driving supply chain resiliency strategy success within their company, supply chain network, and across industries. The awards committee considered nominations from across the industry, including its general membership of over 1000 members worldwide comprised of OEMs/brand owners, suppliers, and experts from the Council’s technical advisor, Resilinc. Selection of the Partner of the Year winner was based on a number of criteria and input related to customer collaboration practices and culture, technology adoption, and overall maturity-level of processes and best practices, as well as the organisation’s commitment to institutionalise best practices and demonstrate innovation and continuous improvement over time. “Patheon is honoured to be recognised for excelling in customer collaboration and innovation. 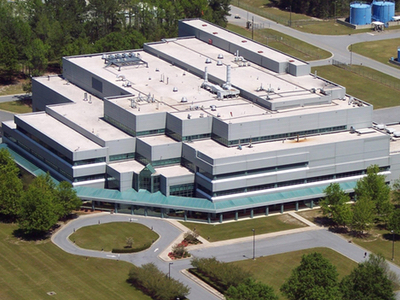 The company is committed to developing solutions to supply chain challenges to help us deliver on the promise of a fully integrated supply chain for our customers,” said Rebecca Holland New, executive vice president, enterprise operations, Patheon.